An all day of Star Wars movies on the TBS channel on TV. This Thursday, May 4. The New movie title of the Star Wars franchise will be Star Wars: The Last Jedi. Could it be that Rey is the last Jedi? You’ll just have to watch the movie to realize it. It comes this December 2017 to theaters near you! Star Wars: Rogue One: A Star Wars Story is the movie prequel, that sets up the epic battle to the film, Star Wars: Episode 4: A New Hope. It is about a group of unknown rebels joining the Rebel Alliance on a mission to set out to steal the plans of the Death Star to have any chance to destroy it. Actress, Felicity Jones portrayed very well as the character Jyn Erso in this Star Wars film. This is an excellent movie prequel to the follow-up to, Star Wars: Episode 4: A New Hope. You see two short cameos from Darth Vader, and the only one cameo from Princess Leia is at the last scene of the film. I give this film 4.5 stars out of 5. Excellent film. 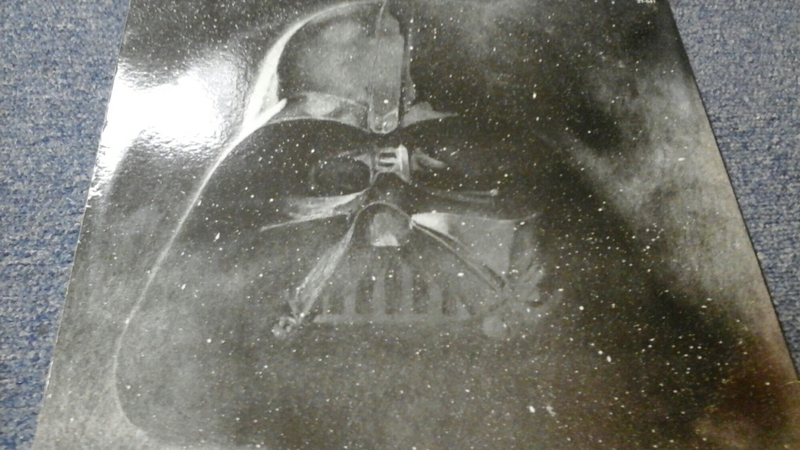 See the original pictures of Star Wars where it all started. Enjoy the new movie Star Wars: The Force Awakens in theaters everywhere. This month in honor of The Force Awakens coming to theaters today we look at the original film soundtrack. Now instead of telling you all the features with the soundtrack and why it’s so great, I’m going to share with you some memories. This is STAR WARS wig music by the great John Williams who has conducted the score for all 6 previous films. You don’t need me to tell you why it’s so epic and awesome. John won an Academy Award for the score in 1978. My father had a copy for many years and he gave me his when I got my own stereo. It was a little best up but still loved it none the same. I would listen to this for hours as a kid as we didn’t own a copy of the movie. This was he 80s and VS movies were not cheap. Get ready to watch the next new installment of the Star Wars franchise. Star Wars: The Force Awakens, rated PG-13 showing on theaters Friday, December 18, 2015!